This kit range has been made to complement the freelance range of non prototype locos that the beginner would normally stable in there loco shed. 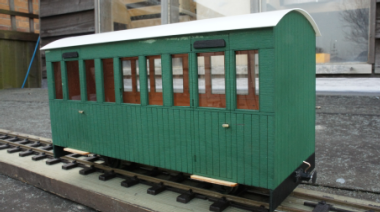 We have again have been working with Accucraft on this project to supply a range of freelance rolling stock that has been Taylor made to run nicely behind the Accucraft Ragleth 0-4-0 or the Lawley 0-6-0 locos and are very simple to construct. 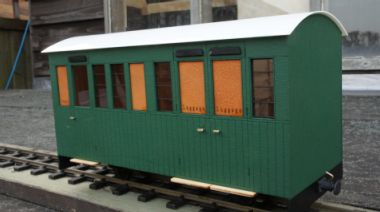 This range of rolling stock are built to the same end profile as the Accucraft Ragleth to suit the modeller that hasn't made many kit before. The kit is manufactured to the highest standards using the latest up to date laser cutting machines and at an unbeatable price also because of this new technology they require little or no sanding of joints or cutting as they all fit together to give a very accurate and crisp piece of rolling stock. 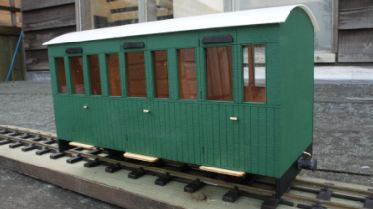 All of the kits are complete including all detail castings, brass wheel bearings, cast buffers,and steel wheel sets insulated for 45 mm gauge modellers. As we believe that a complete package is important to you so you do not need to buy any other parts. All you need to complete is a little time, glue and paint.